We have our own Charter of Healthcare Rights. It is our committment to you and we have based it on the Australian Charter of Healthcare Rights. We will make ever effort to help you make appointments for your treatment needs. We really appreciate you cancelling promptly if you need to or let us know about rescheduling. If our receptionists cant fit you in please ask to be placed on our last minute list or ask the receptionist to consult directly with the dentist to see about fiting you in. It is important that we keep you safe. Please fill in our medical history form and also bring in your list of medications each visit so we can keep our records up-to-date. If something ever goes 'astray' we are in communication with a network of trusted specialists so we will help you with professional care. Our primary concern is your health and welbeing and we are honest in our communications as we seek to offer support and advice with regard to how the situation can best be resolved or managed. We conform with the Australian Commission on Safety and Quality in Healthcare's Open disclosure framework. Our practice values each individual as a unique person. 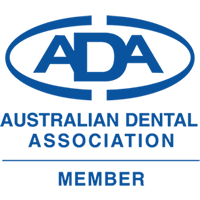 We hope that at all times we can provide dental treatment in a manner that is respectful of your beliefs, values, culture and preferances. We love to impart the knowledge we have gained! If we can make it easier for you to understand please let us know. We want you to understand and participate actively in all choices and decision making. Please ask questions and we welcome all feedback so we can make the information we give you as meaningful as possible. Let us know what you are thinking, feeling or questioning. We also realise that different people need different information and differing times to think about or discuss decisions. You may need to talk to family or advisors before you are ready for more complex treatments- we understand. All health information is private and confidential and we take this very seriously. You also have the right to ask us to show you your records and to transfer them. We are always happy to assist. Your feedback is valuable to us. We will take any comments or feedback seriously and our practice will grow better because of your concerns or suggestions. Our preference is to tell us directly but if you want you can email us or write us a letter. If you ever did have a complaint we do have a complaint management process and committ to acknowledge and respond in a timely manner. If you feel we haven't responded in time or appropriately please put this in writting directly to the principle dentist- thanks. The Australian Charter of Healthcare Rights is about high quality and safe healthcare. It was developed by Australia's leading organisation in quality and safety in healthcare - the Australian Commission for Safety and Quality in Healthcare. We have included this in our web site to help you understand the rights we have using the Australian healthcare system. This particular document of healthcare rights was endorse by each State Health minister in 2008. Prior to this each healthcare state and hospital had its own statement of rights. 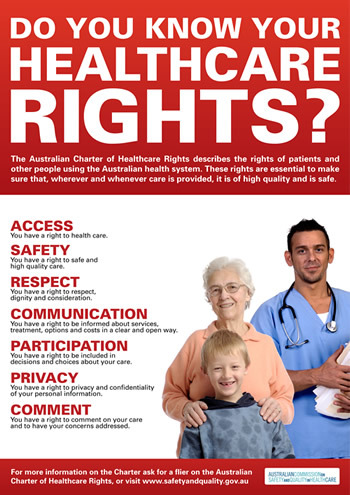 The Australian Charter of Healthcare Rights describes the rights of patients and other people using the Australian health system. The Charter recognises that people receiving care and people providing care all have important parts to play in achieving healthcare rights. The Charter allows patients, consumers, families, carers and services providing health care to share an understanding of the rights of people receiving health care. This helps everyone to work together towards a safe and high quality health system. A genuine partnership between patients, consumers and providers is important so that everyone achieves the best possible outcomes. Please contact the Commission for a copy of a Braille version of the Australian Charter of Healthcare Rights and the Guide for patients, consumers, carers and families.